Volcanoes are a living part of nature, some of them still brewing deep within the Earth and threatening to become active at any moment. 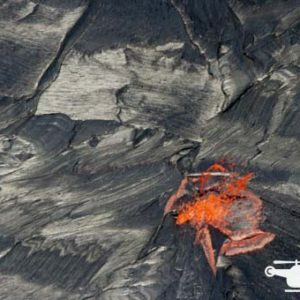 The Big Island of Hawaii is home to Kilauea, one of the world’s most active volcanoes that, since January of 1983, has been experiencing a lengthy eruption responsible for the Pu’u Oo Cone. 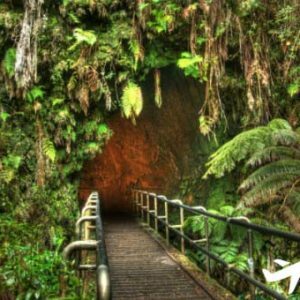 With an active volcano right in the midst of a tourism paradise and 4 other unpredictable masses spread throughout, how can you safely explore the islands of Hawaii without worrying about the hazards of these monumental natural structures? If you decide to explore these behemoths on your own, be sure to keep a keen eye out for any warnings. Kilauea trails take you close to the volcano, close enough that you’ll want to pay close attention to warning signs across the trails. If you see a sign that says an area is closed, assume that it’s closed for your own safety and it’s best to heed the warning. On your trek, you may come across side paths and areas that seem to offer a better view or bring you deeper into beautiful, lush vegetation. While you may instinctively want to follow these paths for the best experience, it’s imperative that you stick to marked trails. These paths are marked for your safety and are deemed best for curious travelers. While following the signs and keeping to marked trails are the best ways to stay as safe as possible, when you decide to hike is also important. While the thought of exploring at night under the bright stars is enticing, it’s not recommended. Beneath the moonlight, certain features of a hiking trail may be covered in shadows, cloaking dangerous cracks and cliffs. Even the best portable lighting isn’t as useful as the bright daytime sun. It’s best to hike earlier to the morning, before the sun is at its strongest. Whenever you hike, regardless of where you should bring plenty of water and wear comfortable but sturdy shoes and lightweight clothing that covers your arms and legs. Lava can be very solid and sharp and falling on it without added layers can cause serious injuries. Always carry something for outside communication, whether it’s a radio or a cell phone. 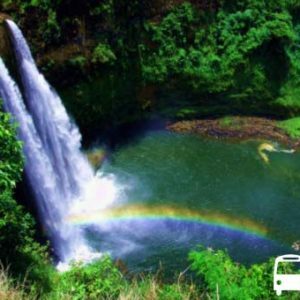 Organized volcano tours don’t take anything away from experiencing these giant natural structures and can actually enhance the journey with the added benefit of having an experienced guide. 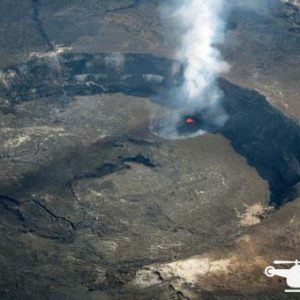 One of the most thrilling ways to explore the volcanoes of Hawaii is by helicopter. Not only will you get a view of the volcanoes that you simply can’t see from the ground, you’ll also get a birds-eye view of the wondrous natural beauty that makes up the islands of Hawaii. If there’s one universal piece of advice no matter how you decide to enjoy Hawaii’s volcanoes, it’s that you definitely want to bring a camera with you.